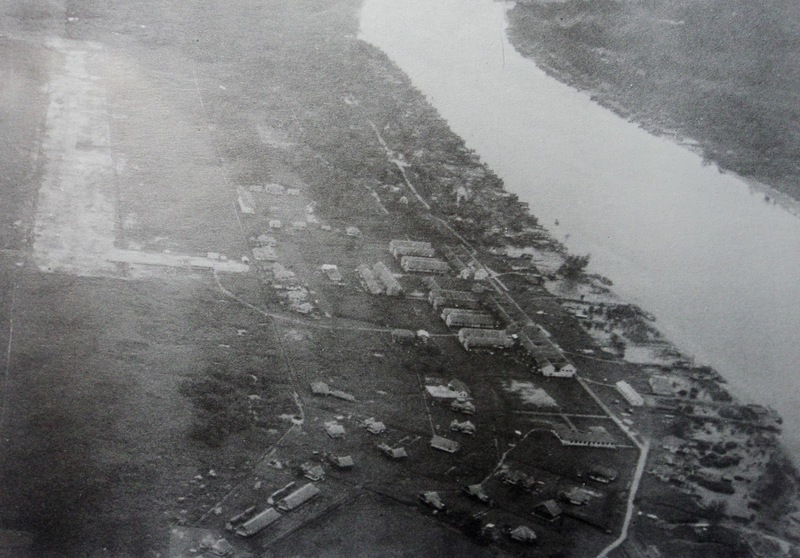 Bintulu in the late 50's -60's - with the airfield at left, town in centre and the Kemena River at right. Prior to Sarawak forming the federal structure called Malaysia in 1963, Bintulu was in the backwaters of the nation's development. Its fortunes turned better beginning late 1970's with the development of oil and gas complexes at Tanjung Kidurong, heralding the first economic boom for the sleepy town and fishing village. 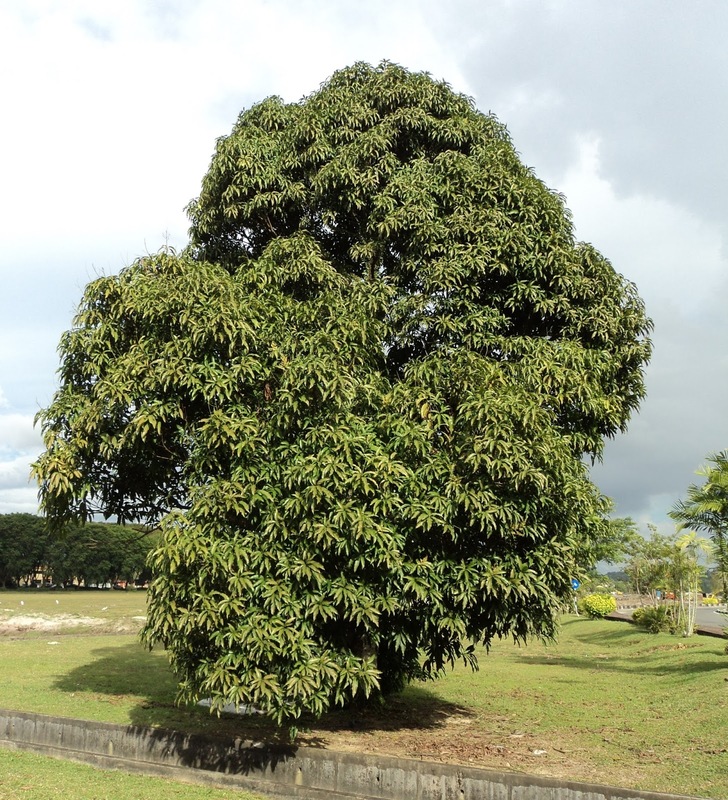 I have tracked the history of a Mango tree (Magnifera indica, see inset) as part of my interest in studying the impact of urban change and planning of this historical town which was the venue of the first Council Negeri meeting during the Brooke era in 1867. To the best of my knowledge, it was planted just prior to the independence of Sarawak within Malaysia. The tree is of historical significance in the sense that it has survived the onslaught of urbanisation starting the first boom till now which is in the fourth boom period. 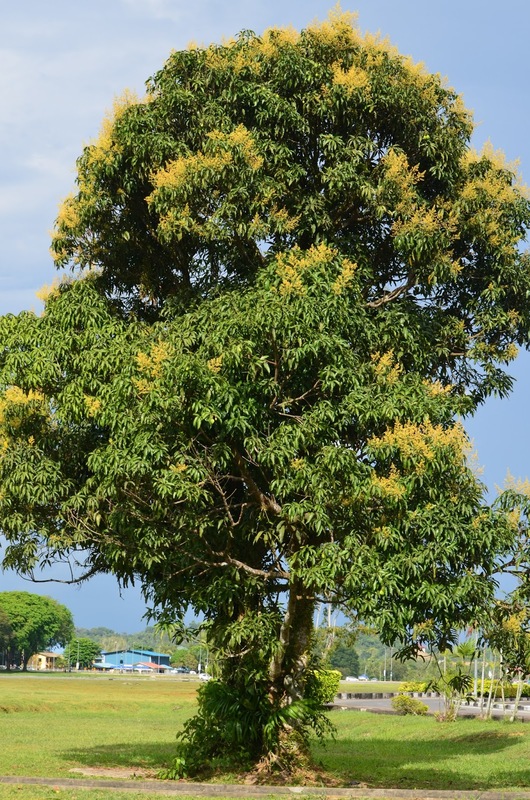 This tree is as old as Malaysia that is 50 years on the 16th September 2013. 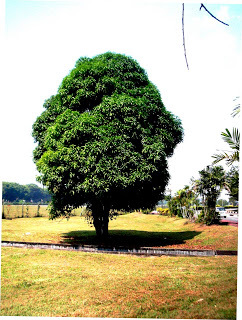 It is still standing today and I am anxiously counting the days when the local authority and planning body (Bintulu Development Authority) will allow some developers or contractors to cut it down. So far, during the last 5 years since I started to blog about this tree, it has survived the blades of development.